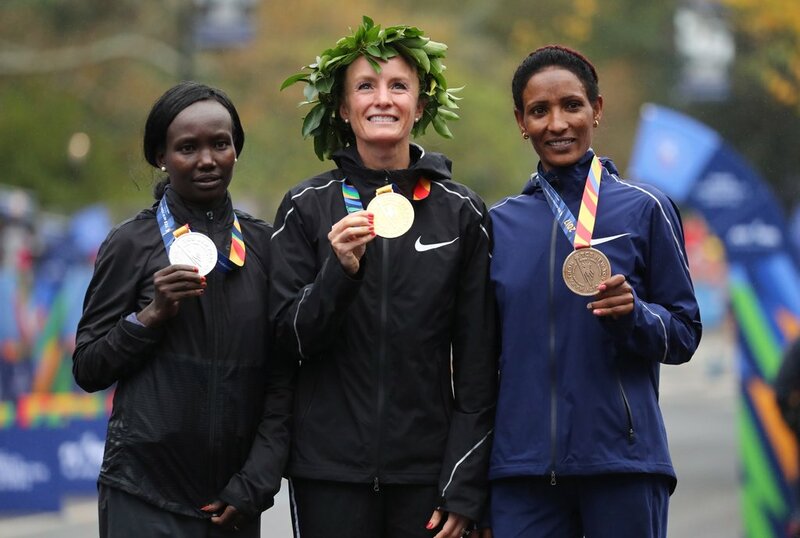 On Sunday, Nov. 5, Olympic medalist Shalane Flanagan became the first American woman to win the NYC Marathon in 40 years. With a time of 2:26:53, her impressive feat will also go down as the second-fastest time ever by an American woman. Flanagan, who was visibly emotional as she approached the finish line, opened up about her historic win after the race. "I've dreamed of a moment like this since I was a little girl so this means a lot to me, to my family, and hopefully inspires the next generation of American women to just be patient," she said. "These are the moments that we dream of as athletes, and this is going to feel good for a really long time." 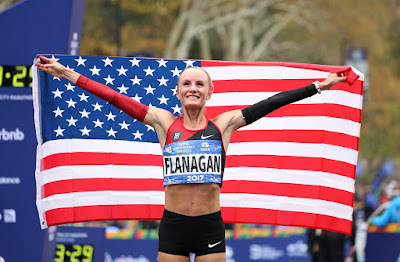 This year's race was only Flanagan's second appearance at the NYC Marathon. In 2010, the 36-year-old finished as the runner-up. Flanagan broke the 40-year title held by Miki Gorman to become the first US female runner to win the world's largest marathon since 1977. Keep reading to see more photos from her historic and emotional run ahead.